This Spanish 2 homeschool Spanish online course includes thirty-six lessons plus quizzes and exams. Spanish 2 continues synthesizing Spanish by combining a large amount of vocabulary and many different verb conjugations, emphasizing what are considered 55 essential verbs, with the goal of using these with ease by the end of the course. Audio files are provided to teach correct pronunciation, and answer keys for all worksheets and quizzes/exams are also included. Spanish 2 homeschool Spanish online course lessons provide instruction in more advanced vocabulary and verb conjugations. ¡Hola y bienvenidos! Hello and welcome! 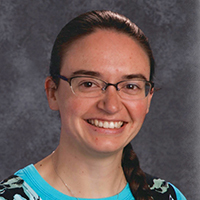 Señorita Reeves is excited to join homeschool students for a fun year of learning Spanish and earning a high school credit in foreign language! 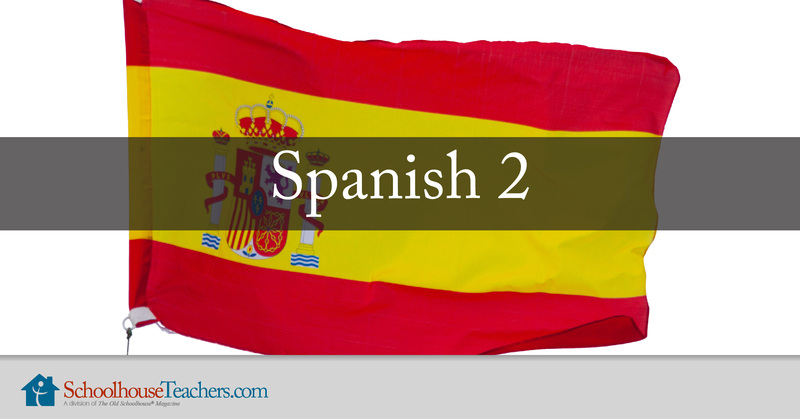 This Spanish 2 course is designed to provide a week to work on memorizing the vocabulary and grasping the concepts before assessing skills on Friday or near the end of the week. Homeschool teens should spend extra time memorizing vocabulary outside of the practice assignments. Learning a language is a skill that builds upon itself . . . Students should focus on knowing the vocabulary and understanding the grammar concepts before moving on to each new homeschool Spanish online lesson! ¡Buena suerte y que lo pases muy bien! Good luck and have so much fun! Students who thoroughly complete all Spanish 2 homeschool Spanish online lessons, including practice assignments and quizzes/exams, may earn 1.0 academic credit in foreign language. Would you like to tell others about this Spanish 2 homeschool foreign language course?